Grand Forks, N.D., Oct. 1, 2017 - Childhood should be filled with playing, learning, and growing. But for many children who face hunger, even basic staples like milk – and the nutrients that help power childhood activities – are missing. Each year, more than 46 million Americans – including 12 million children – rely on Feeding America®, the nation’s largest domestic hunger-relief organization. According to Feeding America, milk is one of the most requested, but least donated items at food banks, meaning children in need across the country are missing out on the essential nutrients, including high-quality protein, it supplies. On average, food banks are only able to provide the equivalent of less than one gallon of milk per person per year. That’s because while Americans are generous with canned and dry goods, many don’t think to donate milk because it’s perishable. Great Plains Food Bank is proud to join Feeding America and local Hugo’s Family Marketplace locations for the second year of The Great American Milk Drive. We are excited to be involved in the national program to help deliver highly desired and nutrient-rich gallons of milk to hungry children and families who need it most. 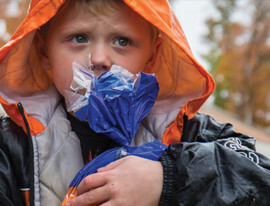 Hunger has no boundaries and is a problem that exists in urban, suburban and rural communities. In fact, North Dakota has a food insecurity rate of 8.4%. The gift of nutrient-rich milk can help feed a childhood and help kids in need realize their potential with full and well-nourished tummies. Map the Meal Gap shows how hunger impacts every county in the country. With its network of 200 food banks and more than 60,000 food pantries, soup kitchens and emergency shelters throughout the country, Feeding America helps provide food to children in need – including many in North Dakota and Minnesota. It’s been a challenge for Feeding America to meet the demand for milk due to the lack of donations, but now it’s easier for North Dakota and Minnesota residents to lend a hand and contribute nutritious milk to local food insecure families. From Oct. 1 through Oct. 31 you can support local children by donating at any of the ten Hugo’s Family Marketplace locations. There will be an event promoting The Great American Milk Drive held 10 a.m. - 4 p.m., Saturday, Oct 7th at all Hugo’s Family Marketplace locations, which include 10 stores in N.D. and Minn. At each store’s event, there will be a representative from Hugo’s Family Marketplace, Dean Foods, and Great Plains Food Bank promoting the event. Donations are also accepted online at milklife.com/give, where as little as $5 will deliver a gallon of milk to a family in need, helping feed a childhood. By entering your zip code, you can ensure that the milk is delivered to a local Feeding America food bank in your very own community. To date, more than 700,000 gallons — that’s over 12 million servings— of milk have been delivered to families across the country through The Great American Milk Drive food bank donations. Many Americans are pressured financially due to a convergence of economic stresses – which means more people are turning to their local food bank for help. Increasingly, food banks have introduced nutrition criteria for the meals served to clients. More than two-thirds of the groceries distributed by the Feeding America network meet Feeding America’s “Foods To Encourage” guideline, based on the USDA’s MyPlate, which includes a serving of dairy, such as milk. 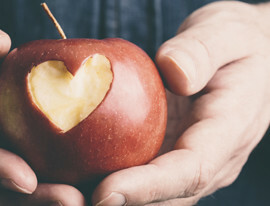 A recent network survey of Feeding America food banks revealed that 94 percent of respondents are actively working on improving the nutritional quality of meals provided to food bank clients. Yet, 95 percent of those surveyed say they do not receive enough milk to meet the demand. The number one reason cited is inadequate milk donations. Milk tops the list of the food items most requested by food bank participants (85 percent), followed by fresh fruits (77 percent) and fresh vegetables (74 percent). While several recent initiatives have focused on getting more produce into feeding programs, The Great American Milk Drive is the first program to help resolve the milk shortage. Feeding America thanks those who join The Great American Milk Drive to help provide the much-needed milk to food banks in their area. By visiting milklife.com/give, you can learn more about the need for more nutritious foods like milk in America’s food banks and how a small donation can make a significant impact. Hugo’s Family Marketplace is a family owned grocery store chain in North Dakota and Minnesota. 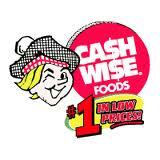 The supermarkets were started in 1939 by Hugo and Dorothy Magnuson. Through years of expansion and growth, the company was led by Hugo’s son, the late Curt Magnuson. Currently, Curt’s daughter Kristi Magnuson Nelson serves as President/CEO. 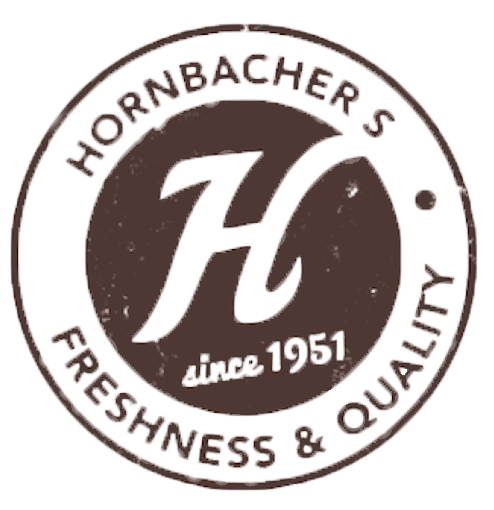 The company now includes 10 grocery stores, 5 Hugo’s Wine & Spirits liquor stores and 7 Caribou Coffee shops. The Great Plains Food Bank serves as North Dakota’s only food bank. 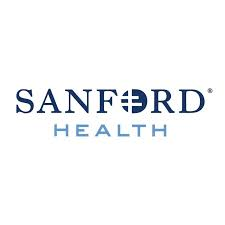 Its partner network includes 216 food pantries, shelters, soup kitchens and other charitable feeding programs operating in 117 communities across N.D. and Clay County, Minn. 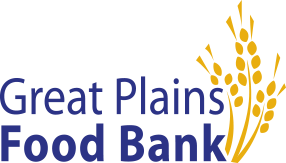 Since 1983 the Great Plains Food Bank and its partners distribute 11.2 million meals annually, and over 34 years of existence have distributed 173.5 million pounds of food to children, seniors and families in need since opening. The Great Plains Food Bank is a member of Feeding America, the nation’s food bank network. Feeding America is a nationwide network of more than 200 food banks that leads the fight against hunger in the United States. Together, we provide food to more than 46.5 million people through 61,000 food pantries, soup kitchens, and shelters in communities across America. Feeding America also supports programs that improve food security among the people we serve; educates the public about the problem of hunger; and advocates for legislation that protects people from going hungry. Individuals, charities, businesses and government all have a role in ending hunger. Donate. Volunteer. Advocate. Educate. Together we can solve hunger. Visit FeedingAmerica.org. Find us on Facebook at Facebook.com/FeedingAmerica or follow us on Twitter at Twitter.com/FeedingAmerica. The Milk Processor Education Program (MilkPEP), Washington, D.C., is funded by the nation's milk companies, who are committed to increasing fluid milk consumption. The MilkPEP Board runs the Milk Life campaign, a multi-faceted campaign designed to educate consumers about the powerful nutritional benefits of milk – with 9 essential nutrients, including high-quality protein, in each 8 ounce glass. For more information, go to milklife.com. Lowe Campbell Ewald is creative agency for the Milk Life campaign – from America’s milk companies. National Dairy Council® (NDC), the non-profit organization founded by dairy farmers, is committed to nutrition education and research-based communications. NDC provides science-based nutrition information to, and in collaboration with, a variety of stakeholders committed to fostering a healthier nation, including health professionals, educators, school nutrition directors, academia, industry, consumers and media. Established in 1915, NDC comprises a staff of registered dietitians and nutrition research and communications experts across the country. NDC is committed to promoting child health and wellness through programs such as Fuel Up to Play 60. Developed by NDC and the National Football League (NFL), Fuel Up to Play 60 encourages youth to consume nutrient-rich foods and achieve at least 60 minutes of physical activity every day. For more information, visit www.NationalDairyCouncil.org.